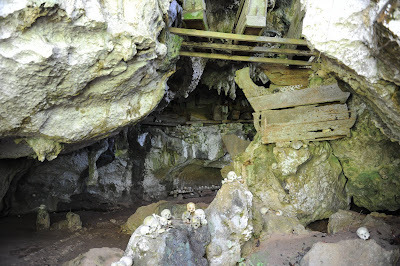 In Tana Toraja there are several methods of burial: the coffin is being (i) put into a cave, (ii) placed into a carved stone grave, (iii) hung on a cliff, (iv) placed into a house or (v) the deceased baby is being buried in a tree. The latter methods allows for further growth in the afterlife. 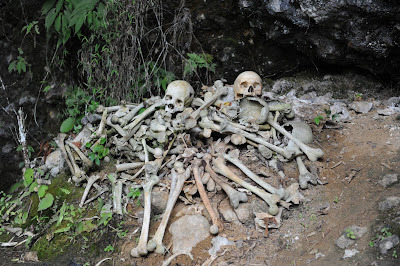 Buried are some of the possessions the deceased may need in the afterlife. 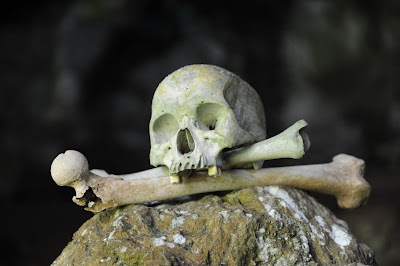 The wealthy are often buried in a stone grave carved out of a rocky cliff. 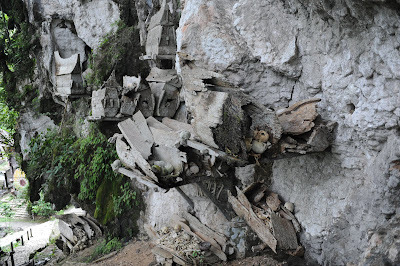 By visiting Tana Toraja people can often been seen hammering into such cliffs, often they have to do it for months depending on the size which can reach living room sizes. 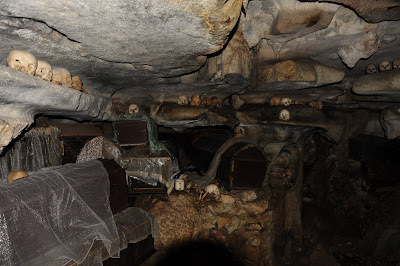 Pictures above and below show hanging coffins. When a coffin is broken and the bones have to be moved, an animal (mostly a pig) must be slaughtered before been alowed to touch the bones. 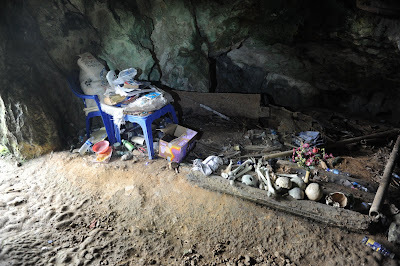 The picture below is showing a mass grave with possessions of the less wealthy. 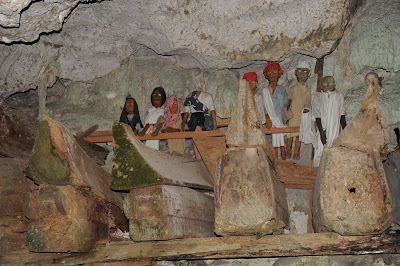 Wood-carved effigies, called tau tau, are usually placed in the cave looking out over the land. 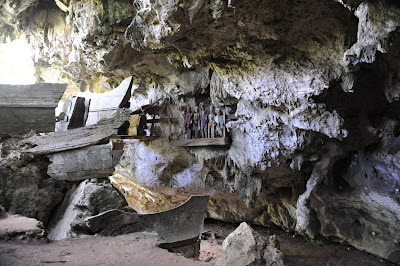 A rante is a burial ground (shown below) where funeral ceremonies take place. 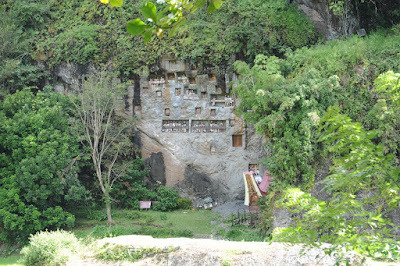 During the ceremony, the dead person remains on a provisional house built for the occasion. 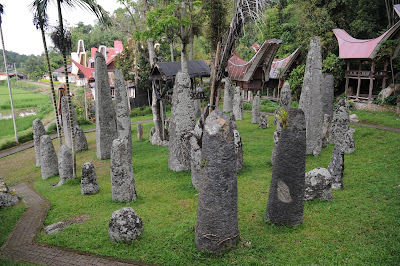 The megaliths of this rante (in the village of Bori) have been here for at least 600 years. When a family wants to bring a megalith to be allowed to use a rante, at least 20 buffaloes have to be slaughtered. Tana Toraja, South Sulawesi, May 2009.